it takes careful study and practice. Albeniz is one of my favorite classical spanish composers. 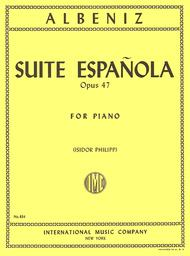 The Suite contains several of his works and I'm enjoying studing it and practicing it. I really like the printing of the album because the notes are large and bold easier to read I wear glasses specially made for reading music. Albeniz was a pianist and never composed for guitar. So this is the original one. The guitar suite is the arrenge one. Chose the version you prefer. Albeniz said himself that some guitar arrengements were better as his initial piano composition! This is graphically perfect as the font is large and very clear - easy to read. The music itself is just beautiful to hear and to play.I love the tempos and melodic variation It cannot be faulted. AND it arrived quickly! Transcribed from Albeniz quitar suite of the same name. Challenging movements along with more accessible ones. Great as a center-piece for a recital. 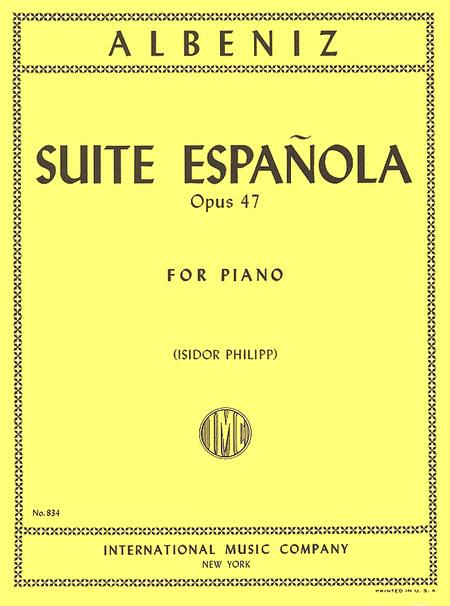 three-CD set which includes this suite on piano); that will help learning these pieces.